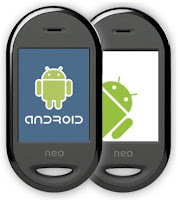 Android's footprint in the UK grew over 4 times larger in the spring, analysts at GfK found today. Google's smartphone platform gushed from just 3% in the UK during the winter to 13.2% by the end of June. The company didn't publicly release other OS data but suggested that it meant shoppers were now deliberately seeking out Android, not just the phones. Researchers didn't credit any particular devices, but HTC's wave of 2010 phones like the Legend and Desire have been some of the strongest sellers. Unlike the US, Motorola has a tiny effect on European sales. The share spike could cause trouble for Apple's attempts to control the European market. The iPhone has made large strides in Europe but has also benefited from a relative amount of security as Android hadn't caught on significantly in the continent. Most Android sales are still centered in the US, where Sprint, T-Mobile and Verizon all consider Android their premier phone OS of choice. China's search market by revenue grew 53.2% in the second quarter to 2.64 billion yuan ($390 million), data as shown from technology research firm iResearch on Monday. Baidu's (BIDU.O) market share rose to 70.8% in the second quarter from 67.8% in the first quarter, as the firm ate into Google's market share. Google, which has faced difficulty in China since threatening in January to refrain from the market on censorship concerns and after a serious hacking episode, saw its market share fall to 27.3% in the second quarter, down from 29.5% in the first. Before its high-profile spat with Beijing, Google was slowly gaining ground on Baidu. In the fourth quarter of 2009, Google's market share was 32.8% versus Baidu's 64.8%. Baidu told Reuters earlier this month it saw only marginal gains if China ousted rival Google Inc from the Web search market, and was banking instead on rapid Internet adoption in that country. Baidu reports its second-quarter results on July 21. According to new report from comScore, Microsoft's Bing stole some market share in June from rivals Google after a few sluggish months. For the U.S. search market, Bing increased from 12.1 percent in May to 12.7 percent in June, its strongest growth in a few months. Google remained the clear leader, but saw its share dip, from 63.7 percent to 62.6 percent for the same period. Yahoo, which has been in 2nd place for years, remained there, seeing its share grow minimally from 18.3 percent to 18.9 percent. On the whole, Americans made 16.4 billion searches for the month, up 3 percent from May. Korean consumer electronics giant Samsung said it is predicting a 14pc jump in second-quarter sales and will reap an operating profit of KRW5trn (US$4bn) based on continued success in the TV and mobile phone business. Samsung, which has just revealed its Wave HD smartphone as well as the Android-based Galaxy S smartphone, is enduring to press home its advantage in the consumer electronics area. The company is busy consolidating its No 2 position in the global mobile business as well as driving advancements in terms of web-connected HD TVs. According to the company, its second-quarter revenues are likely to come in at KRW34.6trn, up 14pc on year-ago sales of KRW32.51trn. For 2009, the company had consolidated sales across all divisions of US$116.8bn. The company, which employs 188,000 people worldwide and whose semiconductors even feature in rival devices like the iPhone, has been achieving marked success in the mobile-phone industry in a relatively short time. According to IDC, Samsung's shipments grew 18pc year on year in the first quarter of this year to 12.5 million units and market share increased from 27pc in Q1 2009 to 29pc in Q1 2010. Samsung became the market leader in traditional mobile phones after gaining 10pc market share in the segment, ahead of Nokia. 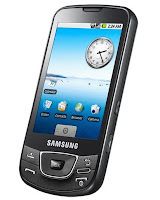 Samsung shipped 12.2 million traditional mobile phones, for a market share of 40pc in the quarter. Strong sales of feature phones and touchscreen devices have helped Samsung gain the market leadership in the segment from Nokia. Smartphones continue to be Samsung's Achilles heel, however. Shipments declined 25pc year on year and market share halved from last year's quarter, and the lack of portfolio in this segment has had an impact on Samsung. With the launch of the Wave HD and Galaxy S, things may be about to change. Internet Explorer has overturned a years-long slide in market share, at least for the month of June, growing at the expense of Firefox. According to data released by analyst firm Net Applications, use of Internet Explorer increased from 59.8 percent to 60.3 percent. On the other hand, Firefox dropped 0.51 percent to 23.8 percent, PCMag.com reports. Chrome and Safari also rose slightly last month. Europe was the highest growth area for Internet Explorer, with a 0.88 percent climb, says PC Pro. The research suggests that users in Europe are still choosing Internet Explorer despite the mandated browser ballot.